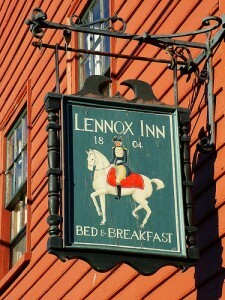 Many B&Bs are in heritage properties like the Lennox Inn B&B in Lunenburg. Campgrounds are often set to spectacular views or right on the beach. Some are privately run and many are government operated in protected parks. Unless you’re hiking to a backcountry site, expect flush toilets and hot showers but not necessarily electricity or kitchens. Bring your own stove and cooking gear. For the quintessential camping experience, making an evening campfire and roast marshmallows over it! Usually the site owners or a nearby neighbour will sell wood. It’s a good idea to make reservations on summer weekends and holidays as locals love to go camping too. Prices go by site and not by person. Cost: $20-30 for a site. Hostels aren’t as widespread as in Europe or Australia but there are a few and in general they offer good value for money, often with access to a kitchen and little extras like a free cereal, toast and coffee in the morning. Don’t count on finding a hostel in every community (see hostel locations) so either bring a tent too or be prepared to splurge on a B&B or motel once in a while. Couples may not always find a private room available. Cost: $20-25 for a dorm bed, $60 for a double room. Bed & Breakfasts or Inns are set in private homes, often with a rich heritage. They are found in all main towns and in quite a few rural locations as well. This is a great way to get to know the locals and to enjoy some local produce cooked up for breakfast. Each B&B takes on the personality of its owner and is individually decorated, from tasteful but simple all the way up to lavish affairs, perhaps with a jacuzzi tub and a 4-poster bed. Some offer fine dining, local wines and expansive gardens. Depending on the class of B&B, your room may or may not be ensuite, have a television or be wheelchair accessible. Cost: $60-200 for a double room. Motels are in most of the bigger towns and have the advantage of generally being built on one level, so you can drive right up to the front door of your room. You should always get your own bathroom and some motels may offer suites or family accommodation with kitchenettes so you can cook your own meal. Others will have an attached restaurant serving simple, hearty food. Motels don’t tend to offer the fancier trimmings of a hotel like swimming pools. Most motels are individually run and some have been newly renovated while others are in desperate need of updating. Cost: $70-100 for a double room. Hotels are easily found in the main centres and range all the way from solid 3-star comfort right up to 5-star luxury. Many have swimming pools, making them a great option for families. There’s also usually an in-house restaurant, perhaps with a good Sunday brunch or buffet breakfast. Spacious rooms always have their own bathroom and television and often a range of extras like internet access, bathrobes, hairdryers, satellite TV and even games consoles to keep the teenagers busy. The hotel might also have a gym, a dry cleaning service and a travel desk for onward bookings. Hotels should be quite centrally located. Chains include Best Western, Westin, Intercontinental and Holiday Inn. Cost: $100-300 for a double room. Lodges are where you’ll find top-class, unique accommodation, set in the heart of nature. If you’re planning a romantic getaway, a family celebration or just want to relax in style, this is where to look. Expect to find stunning buildings, often adjoining a top-class golf course, woodland or overlooking the sea. Finish your day off with some haute cuisine in the dining room and a soak in the hot tub or a visit to the spa. Among Nova Scotia’s best known lodges are Digby Pines, Keltic Lodge, Liscombe Lodge and Trout Point. Cost: $150-300 for a double room.